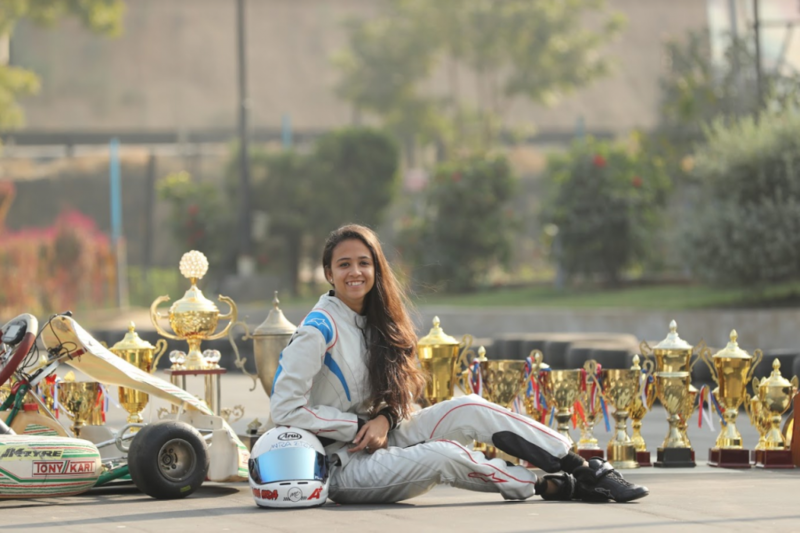 17-year-old Mira Erda, India’s first female formula racer is racing to the top in a man’s world. WTO reporter Roma Rajpal Weiss spoke to Erda on her unusual choice of profession and her plans for the future. What inspired you to take on racing? 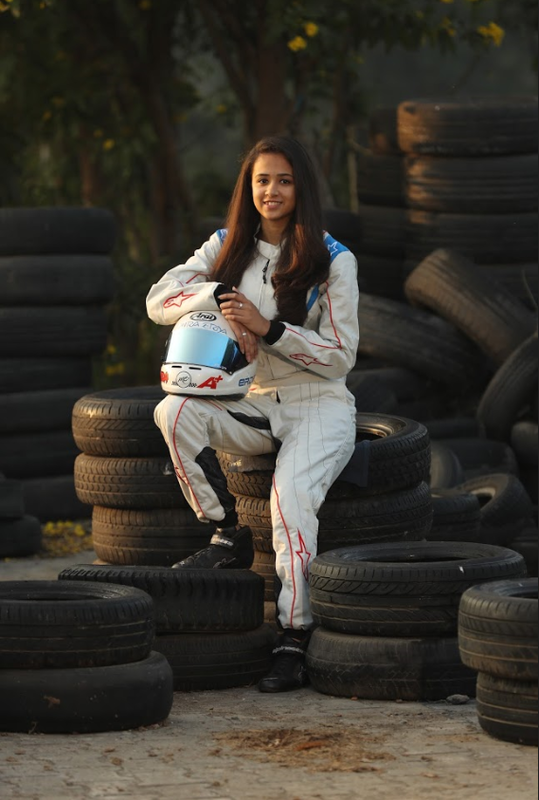 When I was 8 years old, my father started a go-karting track in Vadodara. I would go there on weekends and drive those go-karts and have fun. One day my dad asked me whether I wanted to take up Motorsports in a serious way and go further. I was really curious to know how racing happens in India. And we went to Pune to see one of the National Rotax Karting Championship. And seeing no female racer over there. I got much more serious and got professionally trained when I was 9 years old and in 6 days of practicing and training I raced in my Life’s First Ever Race. Being the only girl amongst the boys was a little tough for me as they would try to push me off track or scare me. But I was always focused on what I really wanted and kept going. The situation has changed now and the other racers treat me as a racer and not as a female racer and I give them a tough competition. 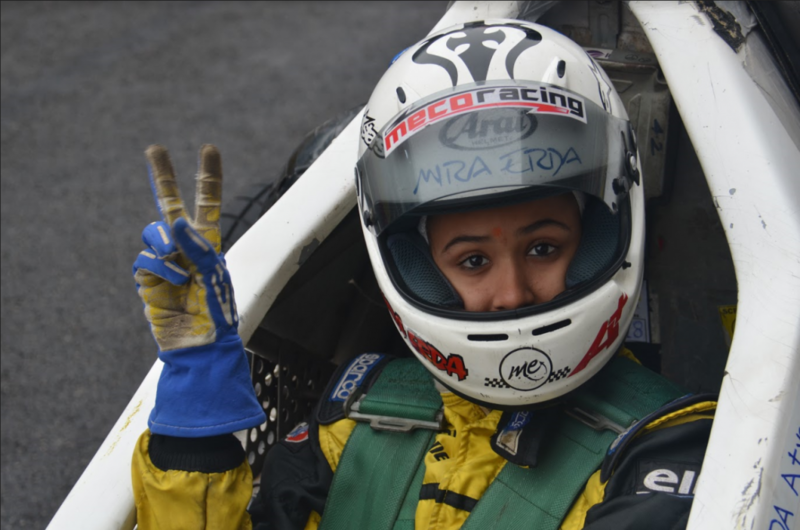 How difficult is it for women to take up racing as a profession in India? A few years back when I got into Motorsports it was difficult to take up racing for women. But over the recent years, a lot of opportunities have opened up for women in the field of Motorsports. And it looks like a good sign for women who have the love and passion for racing and speed. How do you get sponsored for your races? The training is quite expensive – around 400 dollars a day. But, in India we hardly get sponsorships. So My dad has been supporting my racing since the first day. And JK Tyre has been sponsoring me too. How do you balance studying and racing? Will you go to college? What will you study? Does your family insist that while you have racing you also think of an alternate career? For me studies are important too. I don’t like not performing well in my studies. And yes I will be going to college too. My family is supportive when it comes to studies. And I am planning to take up some course which is related to Motorsport. My future plan is to race in South East Asia Championship Next year and then see how it goes and depends on the budget we have in future. I have a lot of opportunities coming my way in the next few years and I’m planning to race on an international level for sure. I will try and do my best. What tips/message do you have for young girls who aspire to be racers? I would say that do what you really feel like doing. Always stand for your dreams and fight for your rights. Stay strong. And especially for the girls who aspire to become racers. 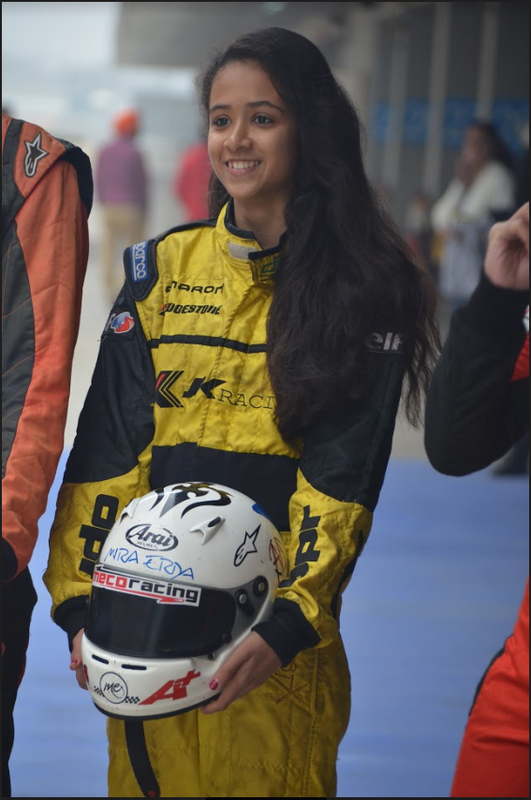 Motorsports is a field where girls can actually show their love and passion for speed. It’s nothing like a Male Dominated Sport. Amidst the grandeur of Cape Town, SA’s main tourist hotspot, lies the informal township of Khayelitsha. In stark contrast to the affluent neighboring towns in Cape Town, many people are afraid to venture here and few believe that any good can come from this community. However Baratang Miya, a self-taught software developer and the founder of the non-profit organization GirlHype, believes otherwise. Through her organization, she aims to empower women and girls with technology and entrepreneurship. She delights in finding “wealth” in a community such as Khayelitsha. German-born supermodel Claudia Schiffer stood at the pinnacle of the fashion world during modeling’s golden age. It was a chance encounter in a disco that allowed the shy German to be introduced to the world. Located in Marrakesh the project Pikala Bikes runs a bicycle training center for teens and young adults. There they learn how to restore, repair and maintain a wide variety of bicycles. Moreover this project offers a chance for girls and young women to develop themselves. DW spoke to Cantal Bakker, the director of Pikala Bikes.